Mr. Bowling is a twenty-year veteran of music education. During his career, Mr. Bowling has had the pleasure of leading instrumental ensembles at every grade level in Tennessee, Georgia, and Connecticut. Mr. Bowling is a 2018 recipient of the National Band Association’s “Citation of Excellence” for his work in instrumental music. In 2004, Mr. Bowling received the Thomaston-Upson Manufacturers Roundtable “Teacher of Excellence” award for his work with students at Upson-Lee Middle School. Mr. Bowling received his undergraduate degree from the University of Tennessee, Knoxville where he studied conducting with WJ Julian, trombone with Don Hough, and jazz with Donald Brown and Bill Scarlet. In 2003, Mr. Bowling completed his graduate studies at the University of Georgia in Athens under the guidance of Dr. David Romines and Dr. John Culvahouse. 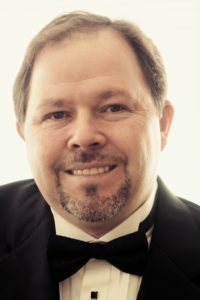 Mr. Bowling’s professional performance credits include the Take Note Big Band, The Cobb Wind Symphony, The Thomaston Brass Quintet, The Danbury Symphony, The Danbury Community Orchestra, The Danbury Brass Band, The Danbury Trombone Outfit, and the Hawthorne Caballeros Drum and Bugle Corps. In June of 2018, Mr. Bowling performed with members of the Danbury Music Center in the conducting debut of Mr. Joseph Alessi, principal trombonist with the New York Philharmonic. Mr. Bowling is a national clinician and adjudicator, most recently serving as a guest conductor with the combined wind ensembles of Marywood University and Westchester University during their performance tour in China. 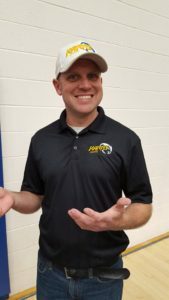 He has also served as a guest lecturer and clinician at Marywood University in Scranton, Pennsylvania for the “Junior Wind Band Celebration.” He currently lives in Louisville, Tennessee with his wife Karen. Erin Bray is originally from Buffalo, NY. She earned her Bachelor of Science degree in Music Education from Clarion University of Pennsylvania. She moved to Knoxville when she won the position of Graduate Teaching Assistant with the clarinet studio at the University of Tennessee, where she earned her Master of Music in Clarinet Performance. Ms. Bray’s teachers include Dr. Lisa Johnson, Mr. Bohdan Hilash, and Mr. Gary Sperl. Ms. Bray has performed professionally in Knoxville since 1998, and has played with the Knoxville Symphony Orchestra, the Knoxville Opera Company, Oak Ridge Symphony, and Marble City Opera Company. She is a founding member of two Knoxville chamber groups: The Blackstick Four, a jazz clarinet quartet, and Soiree Winds, a woodwind quintet. 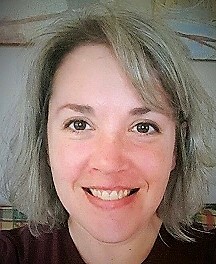 Ms. Bray has extensive teaching experience, including positions with Knox County Schools, and adjunct positions at the University of Tennessee, Knoxville, Lincoln Memorial University, and Maryville College. She also maintains a large and active private studio of clarinet and saxophone students. When she isn’t practicing, gigging, teaching, or chasing her three kids, you can find her tweaking her technique in the kitchen or watching Law and Order marathons. 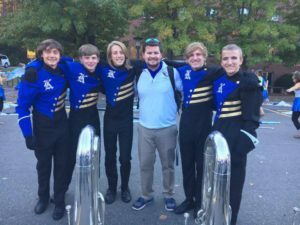 Mr. Foster is Assistant Director of Bands at Karns High School. He is a graduate of Carson-Newman University, where he holds a Bachelor of Music degree. While at Carson-Newman, he played in the Marching Eagle Band, Symphonic Band, Wind Ensemble, Men’s Chorus, several small groups and the Carson-Newman Brass Quintet. Before teaching at KHS, he taught private brass lessons in the Knox, Blount and Sevier County areas. He is a church musician playing tuba at Sevier Heights Baptist Church. He is also a member of the International Tuba-Euphonium Association, National Association for Music Educators, East Tennessee School Band and Orchestra Association, Teachers Education Association, and National Education Association. He has served two years as college student representative for ETSBOA. Mr. Foster resides in Seymour, Tennessee and was a tuba student of Dr. Sean Greene. Spirit of Atlanta 1989, 90, and 92. Bass drum and then Snare. 1992 and 1993 University of Tennessee, Pride of the Southland, and concert bands. Taught/Wrote for Percussion and Colorguards in the area. While in the Atlanta area, served as percussion, colorguard, and visual instructors/choreographer as well as one semester as a community coach titled Assistant Band Director before moving to Louisiana. While living in Louisiana, adjududicated indoor percussion (Visual) and winter guard (Equipment). Former President of the Spirit of Atlanta Alumni Association; current Board member. Currently, instructional staff at Hardin Valley Academy band programs under the direction of Alex Rector. I live within the community and have two sons. One in the Karns Middle School band program. Michael Cammisano is a private instructor in the Knoxville area. Mr. Cammisano is a graduate of University of Missouri Kansas City Music Conservatory, where he holds a Bachelor of Arts in Music Theory. 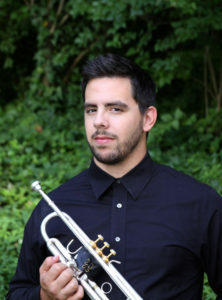 He is classically trained in both trumpet and piano, and played in the Conservatory Orchestra, UMKC brass Quintet, Wind Symphony, and Concert Jazz Band. He has given numerous piano and trumpet recitals and had the great opportunity to play with the Starlight Theater Band for two seasons. He also played in a rock band and a jazz band on the weekends. After Moving to Tennessee Michael was employed by Knox Music Studios where he currently teaches trumpet, french horn and piano. He also teaches privately at his house. He is the church pianist at Providence Church and plays trumpet for the Knoxville Community Band. On the weekend, he plays jazz gigs, symphony gigs, or just a simple dinner music gig. If you would like lessons, email him at CammisanoM30@gmail.com. He resides with his wife Sarah in Oak Ridge. Mr. Jacob See is a graduate of the University of Tennessee – Knoxville where he received a M.M. in Tuba Performance. Jacob received his B.M. in Music Education and Tuba Performance from Carson-Newman College. As an active performer, Mr. See can be seen with the Southern Stars Symphonic Brass Band in Crossville, TN as Principal B-flat bass. Additionally, he performs with the Black Oak Brass Quintet, based in Knoxville, TN. Jacob’s primary instructors include Dr. Kelly Thomas, Sande MacMorran, and Dr. Sean Greene. 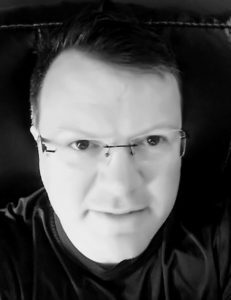 Currently, Mr. See is an active private low brass instructor in the Knoxville region, while serving as Adjunct Instructor of Tuba on the faculty at Carson-Newman University. Brandy Cox was a crucial Colorguard member of the Karns Colorguard for seven seasons during the years 2013-2017. Along with an additional season of being assistant coach for the Karns Middle School Colorguard that following year. It is her aspiration to not only teach her team guard skills, but also life skills. It is Brandy’s commitment and belief in her student’s success that is instrumental in helping them reach the goals that they did not dream possible.